The LUSITANOS are one of the oldest and rarest breeds of riding horse in the world and as in centuries gone by, their breeding-selection is still designed to be compatible with working with bulls. The breeder TERESA CASTRO PEREIRA represents the third generation of women to head Lusitano breeding at Casa Cadaval. Her century-long background with it's German and Portuguese roots makes for a very interesting biography. FABIO NUNES was head-horseman at Casa Cadaval up until 2009 and worked alongside the famous matador Antonio Ribeiro Telles. MIGUEL RALÃO is a member of the Portuguese National Dressage Team wants to help Teresa and her Lusitanos succeed at the international dressage level. Finally, yet importantly, the bullfighter ANA BATISTA, who lives and loves this archaic and dangerous job with abandon and is one of very few women to succeed in this ancient male domain. A series of interviews hears them talking about life with the horses and a commentary provides necessary background information. The known actress Brigitte Antonius provided the commentary voice. The rhythm of the film is determined by the changing velocity of events and the narrative style. The film shows the old cultivated landscape along the Tejo in poetic images. It gets close to the horse with Ana Batista, during training, instruction and, towards the end, in the arena in Alenquer. 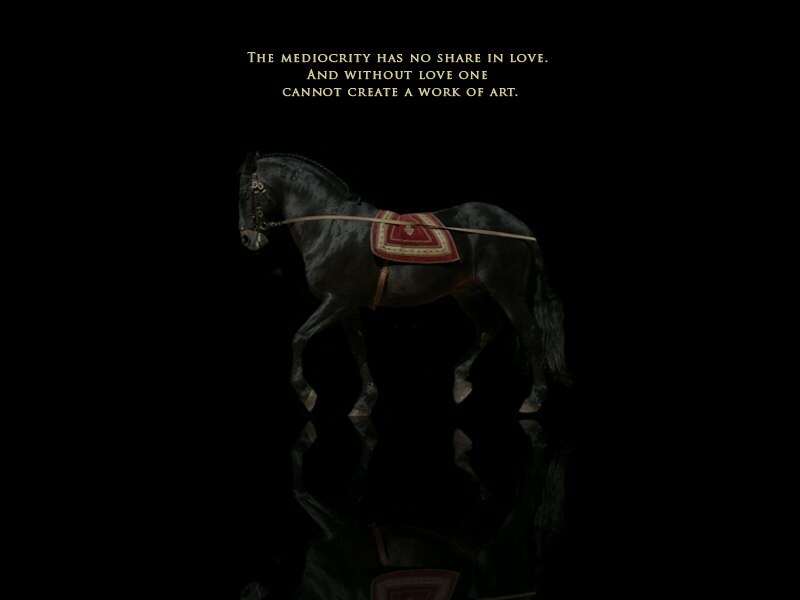 The film tells the story of how Teresa Castro Pereira and Miguel Ralão are going about further developing the Lusitano breeding program in the Ribatejo province and establishing the Lusitano as part of international dressage. The film transports the viewer to Salvaterra de Magos and to the wild campino-competitions during the VII Equimagos, the beautiful Equeste e Taurino festival held in the center of the Ribatejo. It also shows the Equitacao de Trabalho competition in Golega, which is said to be the “capital of the Lusitanos” in the Ribatejo province. This riding style is one of the last few adventures to be had with horses in Europe. But for how much longer will the Lusitanos remain a part of the living history of Ribatejo?